Stillman Bank has recently added a key member to its successful team in northern Illinois. Keith J. Akre, CFA, CFP® joined Stillman Bank as Trust Officer, according to Martin C. Larson, Chairman and CEO. In his position, Akre will work within the bank’s Trust and Asset Management Department. He will be located primarily in the bank’s Rockford office, 8492 East State Street, but will assist customers at all six Stillman Bank locations. Akre has more than 10 years of experience in Trust and Investment Management. He earned his Bachelors of Business Administration degree in Finance, and his Masters of Business Administration from Western Illinois University. He holds several professional certifications including Chartered Financial Analyst (CFA) and Certified Financial Planner (CFP®). Akre is also very active in the community serving on several boards of non-profit, mission-driven organizations. 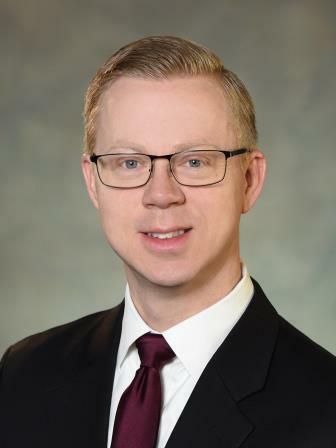 Currently, he serves as the Treasurer of the Rockford Lutheran School Board and is an advisory member to the Investment Committee of the Rockford University Board. He also sits on the boards of the Circle of Change Veterans Dog Program and the YMCA of Rock River Valley. In addition, Akre teaches Finance through Rockford University’s Accelerated Degree Completion program. He lives in Rockford with his wife Heather and their three children. If you want to learn more about Keith or what our Trust Department can do for you, click here.